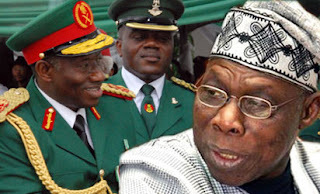 Chief Olusegun Obasanjo, aka OBJ, Former president of Nigeria, yesterday, broke his silence on the feud between him and his estranged political son, President Goodluck Jonathan, saying he would not stop commenting on national issues. Obasanjo stated this when he hosted the National Chairman of the ruling Peoples Democratic Party (PDP), Alhaji Bamanga Tukur, in his Hilltop country home, Abeokuta, Ogun State capital. He, however, said that despite the public perception on the disagreement between them, Jonathan remained his president.